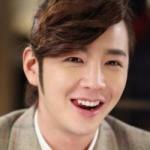 장Jang Keun Suk Unofficial English Website! DO NOT TAKE THESE INFORMATION OUT OF THE THREAD WITHOUT PERMISSION. Thanks to those who put up the clips. Thanks to those who contribute this thread. 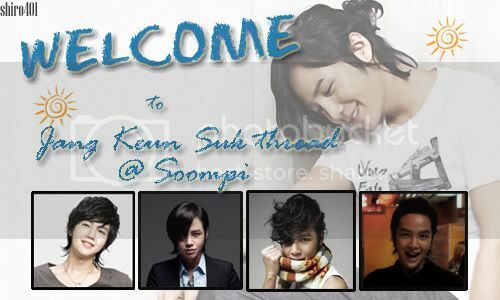 All of you made Keunsuk soompi thread happens~! Great Thanks to Tuchee11 for sharing all the JKS pictures, and Medea for translating the articles and diaries and cyworld entries.. Thanks to all who posted Jang Keun Suk information on the net! Profile and information are translated/provided by SillyYun and Jang Keun Suk's official website. Please read the Drama Forum Rules and Soompi Forum Rules before posting. If you have additional information or corrections, please pm me so that I can keep this updated. Thanks a million! isn't he going to be in that one movie DOREMI or whatever? ? i liked jangeunsuk since his sitcom thing Orange. then nonstop show. i was obsessed with that show. maybei still am! whoa hes so cute@!!! i never seen him b4!! hes so successful and at such a young age too. hes gonna be big. haha i was wondering why his name sounded so familiar. NONSTOP 4!!!!!!!! haha he and han yeseul fought like crazy when she first made her appearance. Hes really cute!! I've never heard of him or seen him act before, but he looks like a promising new star .... pretty YOUNG too!! i loved him in lovers in prague. he was so adorable. a cute boy, can't take my eye off him when seeing Lovers in Prague! Can someone post up a picture? i loved him in nonstop 4.
hes so cute and talented. Anyone knows when it's coming out?